The Metro Newspaper, which is freely distributed on the transport networks of Britain, has promoted commercial copy-right infringement twice in the past 7 months. 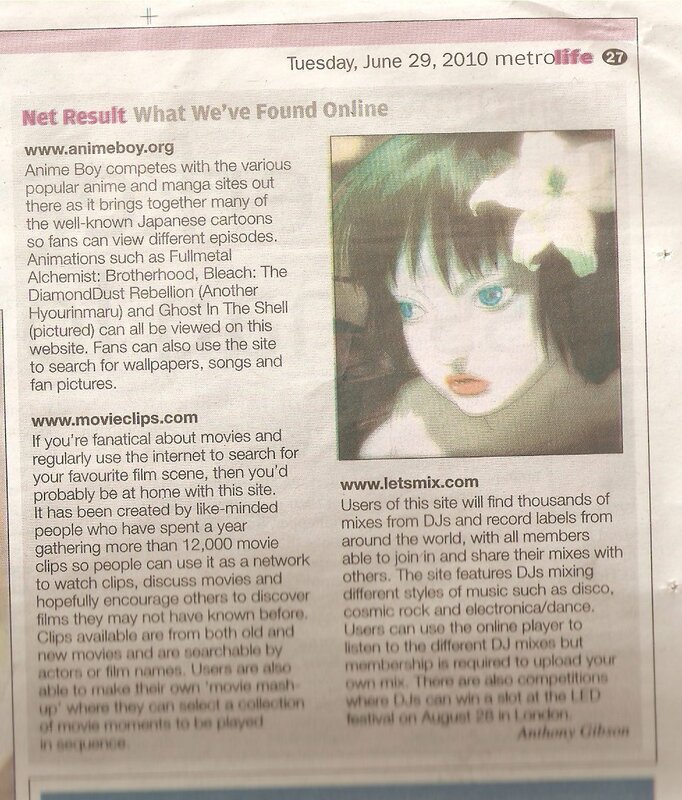 I am referring in particular to the anime sites they mention in the above two clippings - sites which stream anime shows an films online. Both sites use advertising and or VIP programs in order to generate revenue. 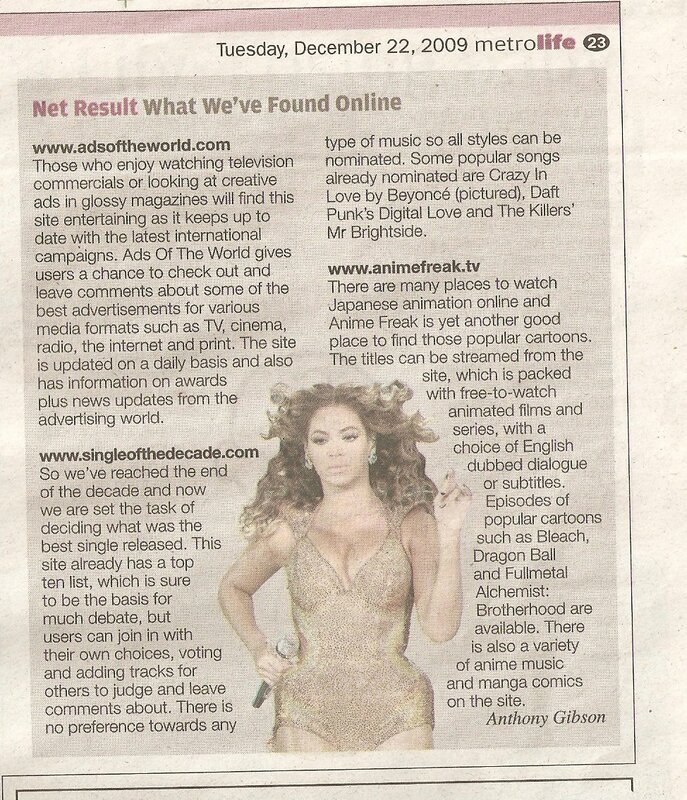 In both clippings they promote the sites using Bleach and Full Metal Alchemist: Brotherhood. The former, last time I checked, is not streamed or licensed to be streamed by the rights holders. The latter is distributed in the UK by Manga Entertainment, which streams 5 episodes at a time from it's own website, and does not license any other sites to stream episodes. So, in the latter case, a national newspaper is promoting a site which partakes in commercial copy-right infringement while there is a free official alternative available for use. I have already sent them an email expressing my thoughts on the matter, but I thought I should make this as public as possible.